Stick a pony in yer pocket and take the suitcase from the van! If you asked the general public ten, maybe fifteen years ago, Peckham was most strongly connoted to long running British comedy Only Fools and Horses (ironically, never filmed in Peckham) and high rise flats (à la Nelson Mandela House). 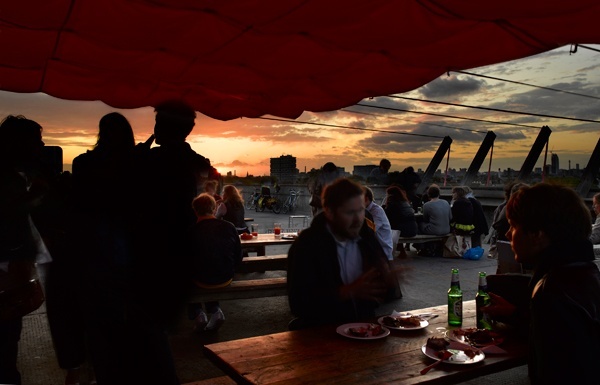 Significant European Union funding over the past ten years has boosted the prospects for Peckham and this bohemian area is moving away from gang crime and riots and is transforming into one of the city’s hippest and coolest hang-outs. Fast-forward to 2014 and an area once linked to “cheeky chappy” cockneys and "wheeler dealers" is now one of the trendiest, most desirable areas to live in London but it still hasn't lost it's soul. Peckham is now populated by a healthy multicultural society (sixteen different ethnicities) making it one of the most ethnically diverse areas of London and is home to photographers, designers, artists and many young, creative types. Thanks to this you'll find a smorgasbord of restaurants, bars, and arty stores scattered amongst African supermarkets and Turkish kebab shops. Peckham Rye is at the heart of the up and coming hipster-zone – grow a beard and hang out here if you want to be part of the cool-club (just kidding). Housing and rental prices remain relatively affordable but word is getting out that Peckham is the next place to be. All of the arty-kids are moving in and bringing with them relaxed and fun vibes. Rumour has it the Romans were in Peckham but little remains of their residency. The name Peckham derives from the Saxons, meaning the town of the River Peck that once flowed through this area. The district has seen a lot of changes over time and was a key player in British industry with the installation of the railway line in the late 1800s. This grew the working-class population and saw a lot of small businesses being established in the area. During the 1960s, Peckham underwent a lot of redevelopment with residents relocated from their dilapidated houses into high-rise flats. Despite this, high unemployment and a decline in standards of living saw Peckham become one of the most deprived areas of London. Crime levels rose and it wasn’t until the late 1990s that a £290 million regeneration programme was initiated, improving housing standards and providing better opportunities for the residents in the area. So how do you get to Peckham? Peckham is located in the south east of London in the London Borough of Southwark, which of course as we all know, is where many young professionals and trendy types are edging towards. It sits just over three-and-a-half miles away from central London and is a short train journey from all the best areas in the city centre. 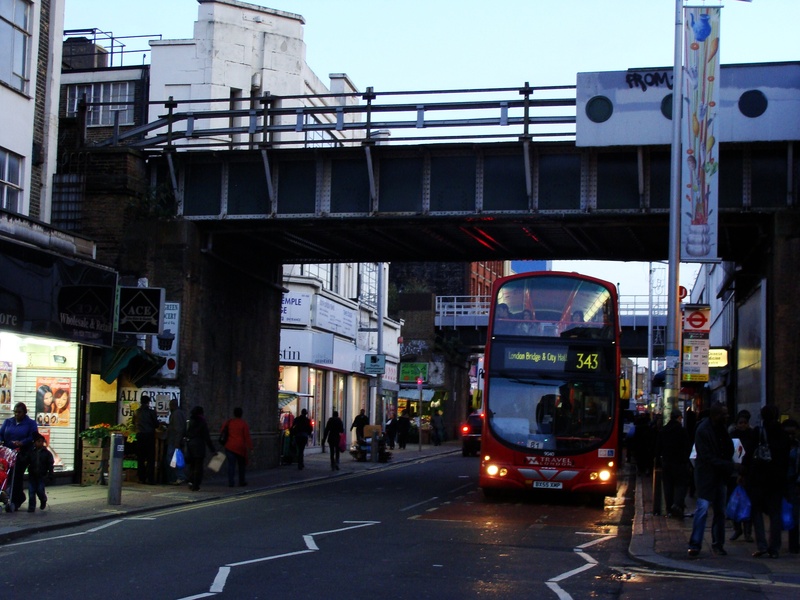 Peckham is served well by overground train services and a host of bus routes. Peckham Rye, Queens Road Peckham and Nunhead link up directly with the city centre and take about 15-20 minutes. There are plenty of bus routes, most notably the 436 that runs to Paddington and the 16 to Oxford Circus. If you’re more of a night owl, there are six night buses that link up to central London. It's also walking distance from the much loved East Dulwich. Like many gentrified areas of London, Peckham’s mix of inhabitants means housing options range from not-so-great social housing to you’re-not-cool-enough-to-afford-these fancy flats. Although it isn’t quite as cheap as it used to be, when you consider how great Peckham is and how close it is to the city centre you’d have to say that the return you get on the money you pay is amongst the best value-for-money in London. The kind of buildings you find in Peckham vary, but as is the case with much of Southwark, you’ll find many Victorian, Edwardian and Georgian properties. The majority of these will have been converted into flats, but of course, there are also houses available. Lowest rental prices for a decent two bedroom flat cost around £1,300 per month. Highest rental prices for a two bedroom flat cost around £2,400 per month. Prices around Peckham Rye are on the high side while you can also find some very affordable housing options on the outskirts of the district. Prices can vary from £170,000 for a basic apartment to over £350,000 for the gorgeous Victorian terraces. House prices in the area are on the rise and it could be a great area for those interested in property investment. The multicultural mix of residents and businesses in the area means you can find a little bit of everything in Peckham. With at least sixteen different ethnicities (according to the last census), Peckham must surely offer the widest range of taste sensations in the whole city, from Pan-Balkan cooking to Sicilian cuisine. Brunch is served all day at the weekends, which gives number67 extra points with us, they also have front and back gardens which a perfect for alfresco dining in the sun. Loads of fresh healthy food to be had here... we love their flourless chocolate cake and fresh berries and lentils, red onion, halloumi and green sauce. They also do naughtier treats like pork belly and chicken livers on toast. Ooh, think I just did a little dribble. Nice. With a name like Petitou, an address of 63 Choumert Road and alfresco dining in the leafy corner of Bellenden Conservation Area, you may be forgiven for thinking you’re in France, but no, you’re in Peckham and the food is a mix of many influences. Generous, flavoursome salads and doorstop sandwiches are available for prices between £6 and £10. Address: 63 Choumert Road, Peckham, London, SE15 4AR. It won’t be long before you’re saying “Please sir, can I have some more?” But that’s not because the portions are too small and not because you’re an orphaned boy stuck in a musical version of Victorian London (we hope! ), but because the food is to die for at the Begging Bowl. Thai street food with an “order loads of sharing things and get stuck in” kind of style! They do not take bookings for tables under eight people but if you chance it and it’s full, they have a ten per cent discount card for the nearby Montpelier pub, and will call when a table becomes free. We told you the food available in Peckham was pretty multi-cultural, and here, God Bless serves up authentic Caribbean cooking and cuisine just like "mama used to make"! Address: 18A Peckham Rye, Peckham, London, SE15 4JR. In a trip that takes your taste buds across the globe, we now head to the part-time pop-up restaurant on Consort Road that cooks Greek, Turkish, Albanian and Iranian recipes, using ingredients that they potentially have purchased in Persopolis ( we’ll mention this place later!). For a touch of little Italy, look no further than Il Giardino. The restaurant has been here since 1987 and the décor both inside and out will leave you aghast that you’re still in England, let alone Peckham! Try the outdoor terrace for that extra special Mediterranean feel! Positioned in the arches of the railway line, Bar Story is popular with the local cool kids and a great place to grab a drink. Bar Story also offers Mediterranean inspired dishes along with cocktails in a bar featuring an industrial-style design. We particularly like their ‘Open to Dogs’ policy – everyone is welcome. Don’t miss their happy hour from 6-7pm on weekdays. The Montpelier is the place to come for local food (they source their herbs from their nextdoor neighbour and pickle their own gherkins. Who does that? ), a great drink selection and smooth tunes. The coffee-loving hipsters will be happy to know they serve Monmouth coffee. Win. It also boasts a 30-seater cinema out the back showing a unique mix of films. Once a cricket bat factory, now one of London’s most happening music, theatre and art venues, The Bussey Building is where it’s at. Some of the city’s biggest gigs and festivals are held here alongside homegrown comedy, art installations and rooftop cinema screenings. It is also home to the CLF Art Café where you can grab a quiet coffee or have a crazy night out. The options are endless. It’s small, it’s cute, it’s called Persepolis. A Persian style “corner-shop” that is more than just your average shop. They have an amazing website that describes themselves much better than anybody else can. The website includes a blog, recipes and quite a handsome amount of wit. Essentially, if you want to try your hand at some Persian-style cooking, this is where you get your ingredients! This delicatessen/café/homewares shop stocks a mouthwatering array of Persian food to eat in at their two and a half tables or buy the ingredients and attempt to make it at home. If you need some guidance, you can pick up a copy of one of their recipe books from the shop and get some hot tips straight from the authors. Run by two of the coolest kids in Peckham, Genevieve and Merlin, General Store is your go-to place for all things delicious. Cheese. Bread. Coffee. Fresh fruit and veggies. Everything sold in this gorgeous little store has been made with love by a real human being. All I can say is, "Yum." Not only is it peppered with amazing cafes, restaurants and delis, it also has many boutique shops offering up vintage clothes and items, to chocolatiers and shops selling doggy make-overs. If the above is all too much and doggy make-overs are a bit too “TOWIE” for you and you need a proper dose of London, head to Rye Lane for some jellied eels and a mooch around Rye Lane Market. With 54 retail outlets and plenty of bargains to be found, it’s well worth a visit for those with a bit of David Dickinson in them! Tantalise the taste buds with a trip to this chocolatier on the Bellenden Road. They sell more types of chocolate than you have ever tried, they have won awards, run a café and they also carry out chocolate workshops. A must for all the choccie lovers out there. If chocolate “ain’t your thang” and you're more of a savoury lover, specifically fish, then head to FC Soper in Nunhead. Described as the best Fish Monger in London, this shop has been established since 1897. You could say they’re pretty well practiced! We all realise that Peckham is a pretty cool place by now. Cool and vintage go hand-in-hand and this shop caters for men, women and children in an area that can be so often dominated by lady’s clothing. Who doesn’t like bargain film prices? 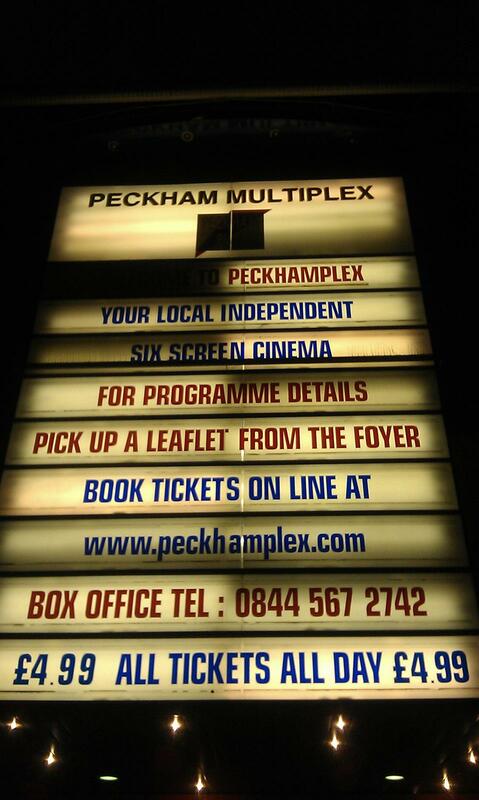 All tickets at Peckham Plex are just £4.99 – all day, every day. They show all of the latest films at bargain-basement prices so you have extra money left over to buy more popcorn! For all of the word nerds out there, Peckham Library is worth a visit. 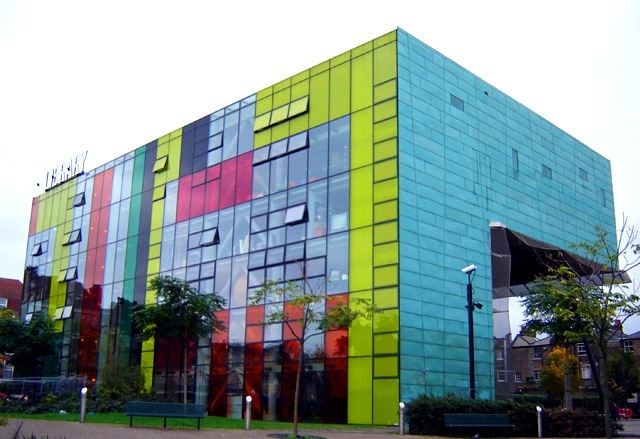 Built as part of the regeneration of the area, this multicoloured, L-shaped building is worth checking out simply for its design and layout – it won the Stirling Prize for Architecture in 2000. If you feel like getting away from city life for a bit, this park offers the perfect chance, with Victorian and Historic buildings mixed with green open spaces with wildlife aplenty, it’s great for a little get away for a few hours. Peckham London's Bussey Building has been described as London’s answer to Manchester’s Hacienda. That’s some rather large night club-shaped boots to fill, but the warehouse style club nights have done a good job. 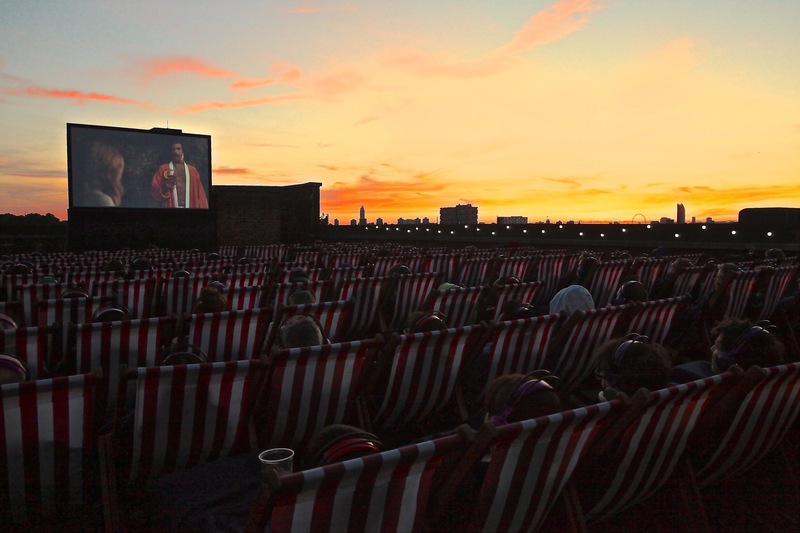 The roof of the building hosts the Rooftop Cinema Club, with deck chairs and a big screen showing modern hits to eighties classics. 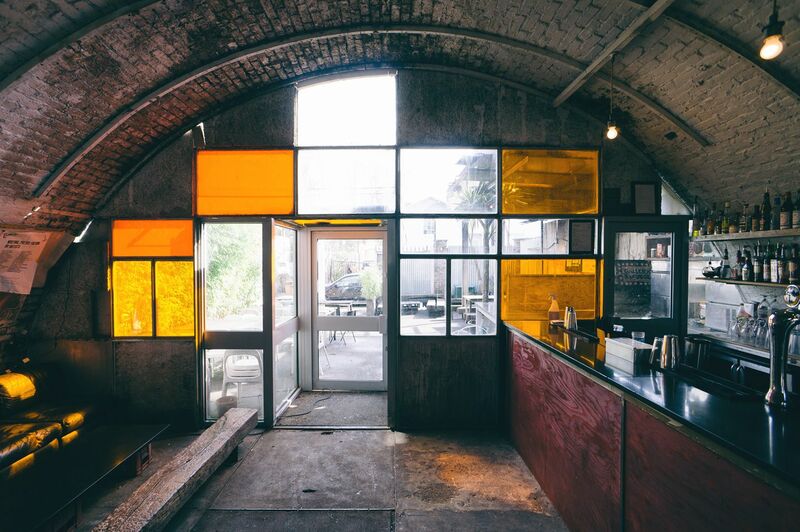 Do you have a favourite hang out in Peckham? Let us know in the comments below!